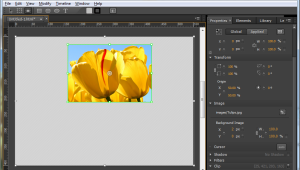 Adobe edge animate toolbar contains clipping tool or crop tool. Toolbar available next ot menubar. 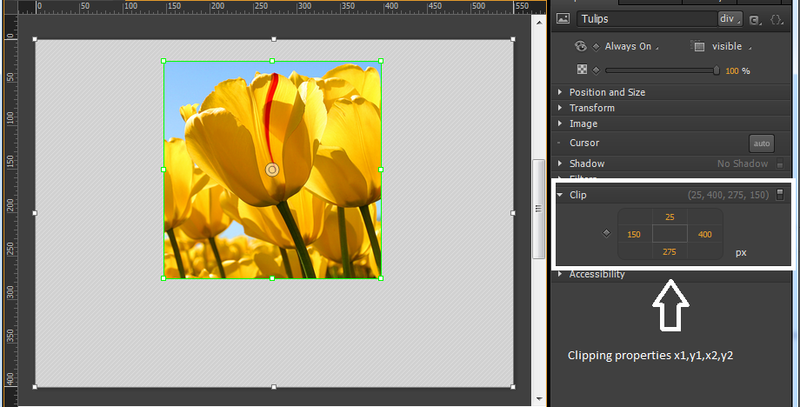 Now we will see the use of Clipping tool. Using this tool we cut or show the specified part of one object. Just like crop function. I exaplained here about this tool from my experience. Using Tulips.jpg image i continue this post. 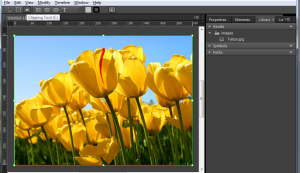 STEP 1: Import the "tulips.jpg" file using menubar File=>Import or Ctrl+I option. Add the image into you stage. Image have one center point. Using this we can move the image. 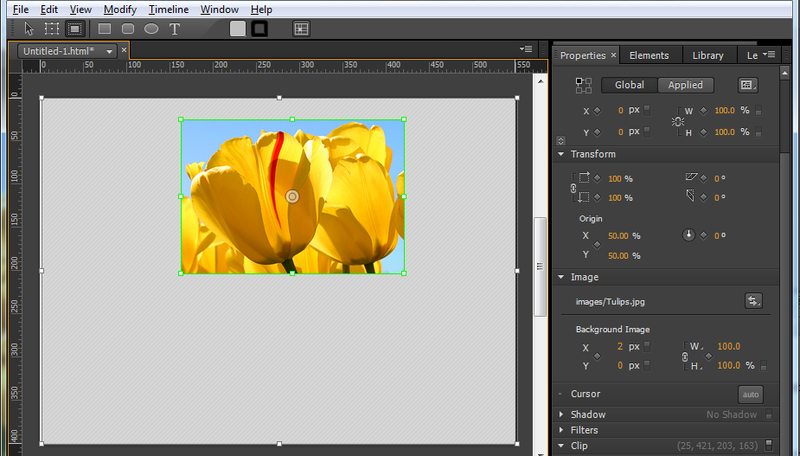 STEP 2: Next Click on the clipping Tool. Then select the image. Now you will get 8 crop points around the image corner. Using this we can crop the image STEP 3: The above image width and height is different. But i would like to set equal width and height. what about clipping the image, in say, the shape of a diamond ?